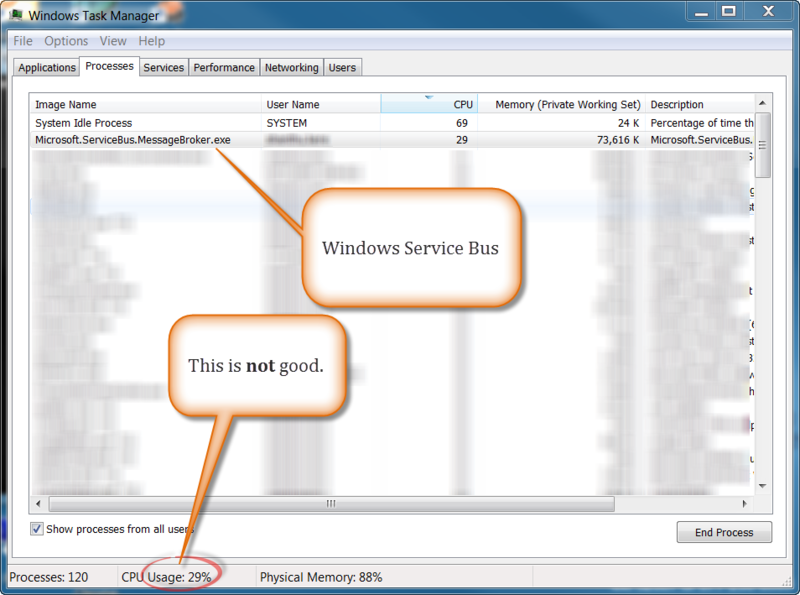 Everything looked great with Windows Service Bus until I noticed the CPU usage. If you have ever built a distributed fault tolerant software systems, you already know the role played my message brokers. On Microsoft platform, until now we had only MSMQ (I am not counting all third party and open source message brokering solutions). This is a fantastic implementation of transactional queue which is good enough to build many great practical solutions. 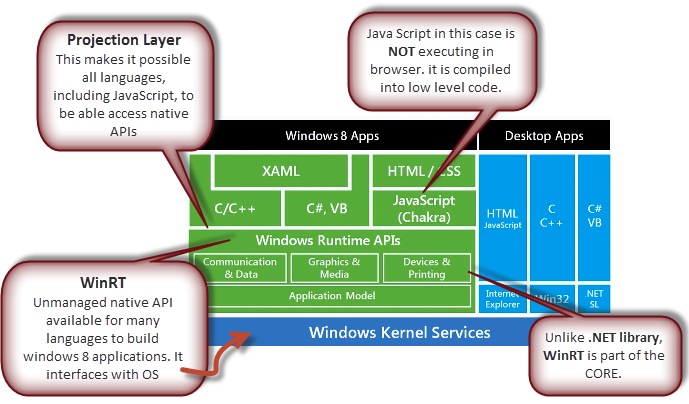 Couple of weeks ago, Microsoft released windows service bus 1.0. I was really excited to see the features. This is very close to everything I had seen in IBM MQ. I couldn’t wait to see if we can take advantage of this new release. Everything seemed great, until I started paying attention to the CPU usage. I have provided a screen shot of task manager below. I am seeing this CPU usage of message broker pegged around 27%. IMO, this is not acceptable. I am pretty sure Microsoft will address this issue soon. Too bad, I have to wait for some more time, before our applications start taking advantage of this nice technology. I sent the source code which caused this particular scenario to Microsoft and they could not reproduce this scenario. I am also not able to reproduce the same error. Besides, you should consider your message size (MSMQ supports larger sized messages), weather you have plans to port your solution to cloud in near future etc. before moving your solution from using MSMQ to Windows Service Bus.